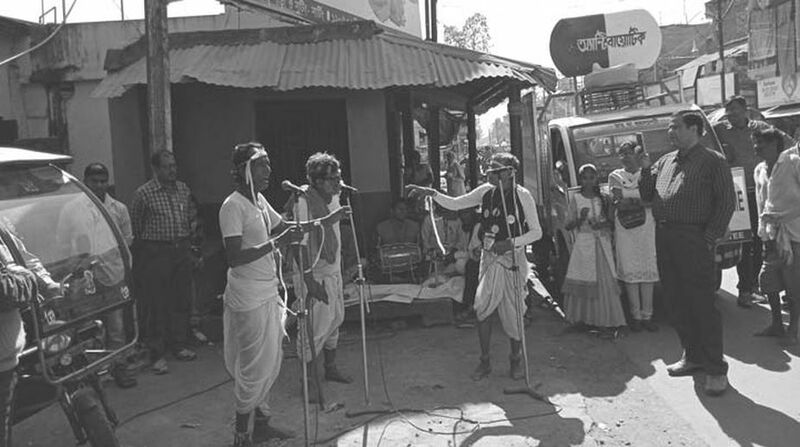 According to the directives of the World Health Organization (WHO) on proper consumption of antibiotics prescribed by medical practitioners, the Malda branch of Bengal Chemists and Druggists Association, through the simple folk form of the district, ‘Gambhira’ kicked off an awareness campaign last evening at English Bazaar in Malda. The show put up by these artists succeeded in pulling a huge crowd. According to the organizers of the programme, folk forms would prove to be a better tool to make the rural people aware instead of grave meetings or seminars containing flurry of heavy words. According to the vice president of the district committee of the association, Chandan Mukherjee, the directorate of drug control has prepared a calendar of such programmes to be undertaken in the country and as a part of the initiative the association has planned to hold such shows throughout the district. “The latest antibiotics have been launched in India and once these drugs get resistant in the consumer’s body he or she cannot be treated or cured by any other drug. Therefore, such initiative of creating awareness among the commoners to use antibiotics wisely is for their sake of safety,” added Mr Mukherjee. On the other hand, secretary of Indian Medical Association (IMA) Malda, Dr Bikramjit Dhar, said, “Three things are very important while prescribing antibioticsselection of suitable antibiotics based on locality, age and weight of the patient, right dosage and correct duration. People, especially the rural ones, stop the intake of medicines once they get relief from the symptoms before completion of the full course which ultimately result into the ineffectiveness of the antibiotic for that person in the future. Awareness programmes like these are very much relevant to make people aware.” According to the organizers they are ready to take this drive to the interiors of Malda in the coming days.